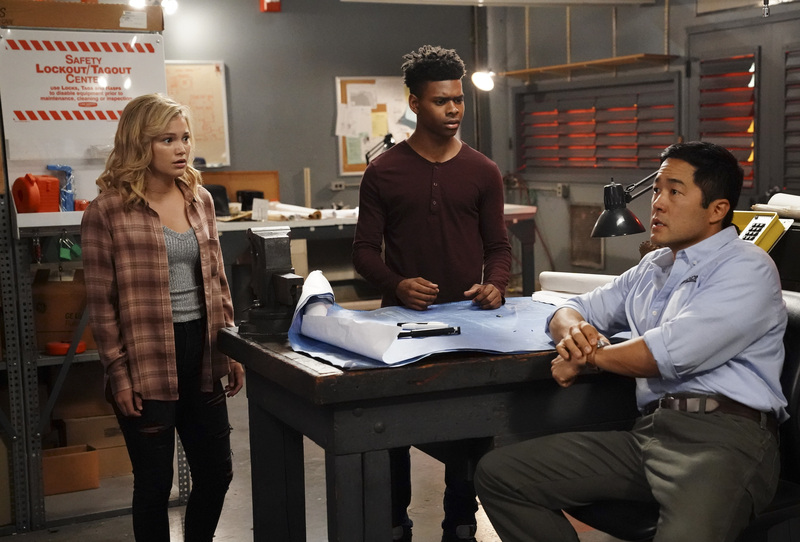 Preview images for Marvel's Cloak & Dagger Episode 7 "Lotus Eaters"
“Lotus Eaters” is the title of the Thursday, July 12 episode of Marvel’s Cloak & Dagger and Freeform has released some photos to promote it! Here’s how they describe the episode; the photos follow below. Marvel’s Cloak & Dagger is the story of Tandy Bowen (Olivia Holt) and Tyrone Johnson (Aubrey Joseph) – two teenagers from very different backgrounds, who find themselves burdened and awakened to newly acquired superpowers which are mysteriously linked to one another. Tandy can emit light daggers and Tyrone has the ability to engulf others in darkness. They quickly learn they are better together than apart, but their feelings for each other make their already complicated world even more challenging. The network has ordered 10 one-hour episodes slated to debut early 2018. “Marvel’s Cloak & Dagger” stars Olivia Holt, Aubrey Joseph, Andrea Roth, Gloria Reuben, Miles Mussenden, Carl Lundstedt, James Saito and J.D. Evermore.